You can easily change the setting using the web interface. 1. Open your favorite browser. 4. 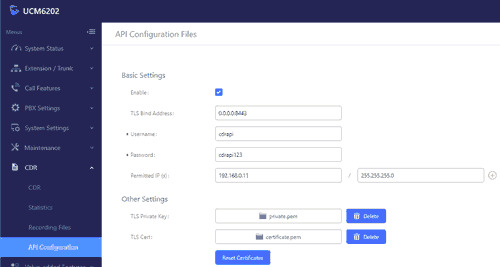 Select CDR - API Configuration from the left side menu. 5. Change the settings as showed below. 6. 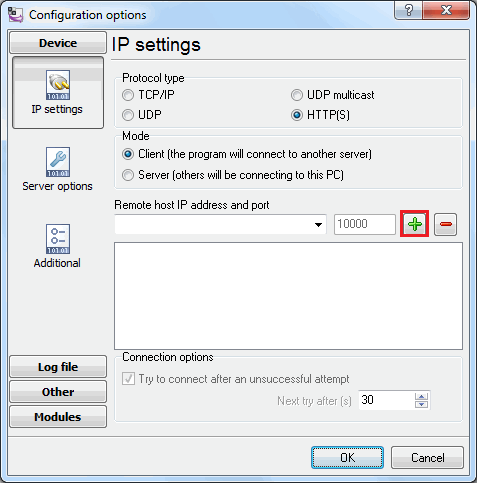 (Optional) For better securty you may specify the permitted IP address of the computer where our software is be installed (e.g. 192.168.0.10). 1. Advanced PBX Data Logger must be configured to the HTTP(S) client mode and specify the target URL address of your PBX (see example below): "https://cdrapi:cdrapi123@192.168.0.10:8443/cdrapi". The port number should match the value from the CDR settings above. The URL may also include the port number, login and password. 2. 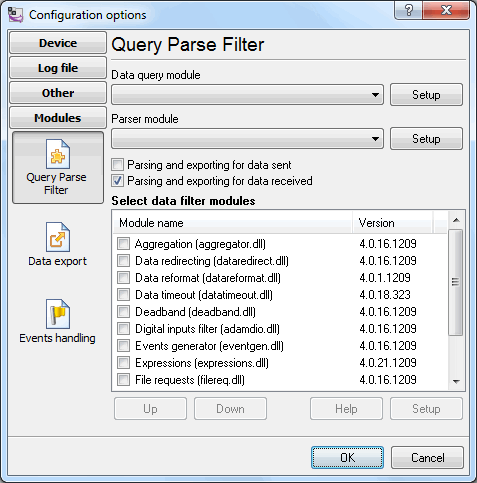 The corresponding data query and parser plugin must be selected on the "Modules" page. 3. 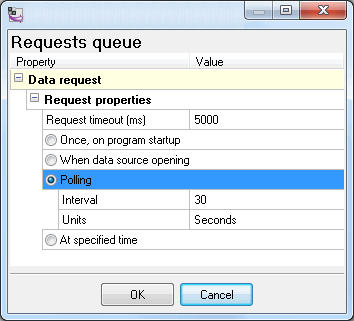 Click on the "Setup" button near the data query plugin and configure the polling interval (30 seconds by default).